The first beta versions of iOS 10, macOS Sierra, tvOS, and watchOS 3 are available to download for users participating in the registered developer programs. iOS 10 beta 1, macOS Sierra beta 1, tvOS (10?) beta 1, and watchOS 3 beta 1 are all available to download now from the developer page at Apple.com, along with Xcode 8 beta 1. Users who have developer profiles installed on their iPhone and iPad devices will also find the iOS 10 beta 1 update available to download now from the Settings app within Software Update. Anyone can enroll in the developer beta program from Apple, but it does require a $99 annual membership fee. The membership fee includes the ability to submit apps to the App Store, access the large Apple library of developer documentation, and certify applications with Apple, this is why it is intended for developers and not casual users. For those users who simply want to try out the new beta operating systems out of curiosity or to help beta test, that alone is probably not worth buying a developer license for, and instead a better option would be to enroll to participate in the public beta program. 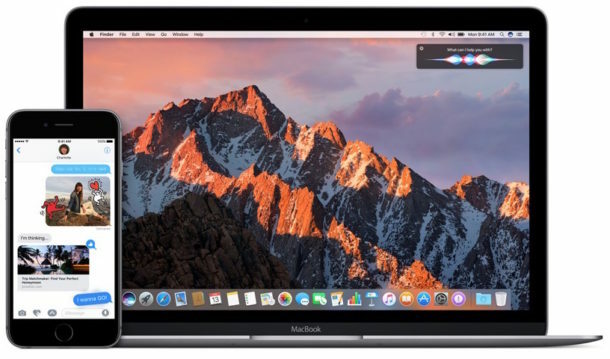 The public beta versions of macOS Sierra and iOS 10 will be available in July for users who choose to enroll in the beta testing programs. Anyone can enroll to participate in the public beta testing programs here at Apple.com, and there is no fee associated. Hush. I thought there is beta configuration profile available for OS X as well. Back up first, and don’t run this on your primary iPhone because it is very buggy. Did they ever fix the wifi? Last time I landed in Vancouver my iPhone would not connect to the airport WiFi. I was using ios 7 at the time. While in the queue for immigration, I could see all the Apple users stuggling with the WiFi. Actually I wouldn’t bother waiting 1month for the PB (cuz i need both DB and PB), but if you are really into having that os as soon as possible then i guess it is easier to go to the russian torrents and download the os from there?